After my trip to Koh Chang, I was once again bitten by my addiction to being underwater. With the festive holidays coming up, I hadn’t quite decided what I wanted to do, other than get away. So I looked where I could dive regionally within a “budget” budget that was still on my bucket dive list. The Philippines has been on this list for a while and Manila is a short and cheap three hour budget flight from Bangkok, so this is where I decided to go. I had heard mixed reports about diving in the Philippines, primarily due to overfishing and over development, but this 7000 plus island nation sits on the Northern edge of the coral triangle, the most nutrient rich and bio-diverse waters in the world, hence its inclusion on my bucket list. Marine biologists are still discovering new species within these waters. 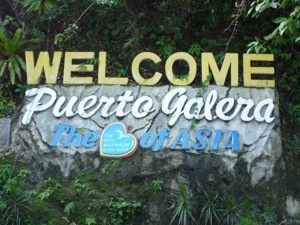 I heard from friends consistently good reports about Puerto Galera on the island of Mindoro, so I decided now was the time to check out Puerto Galera for myself.